Our latest E-Books “Mash Jacked: Hypertrophy for Strength Athletes and Field Athletes” and “Train Stupid: Programming and Philosophies of Nathan Damron” drop in 2-Days. This Friday April 21st, you are going to want to check out these two books of gain. For now, get your Free Copy of “The Mash Method” our E-Book that will help you crush through any plateau. Over the last 30+ years of being a coach and athlete, I have been influenced by several other great coaches and athletes. I have had the honor of meeting and hanging out with several of them. People like Ed Coan, Louie Simmons, Charles Poliquin, and Greg Everett all have extremely different ideas on how to get strong. However there is one common denominator that connects them, and that is ‘hypertrophy’. They all agree that at a certain point you have to get the muscles bigger to get them stronger. 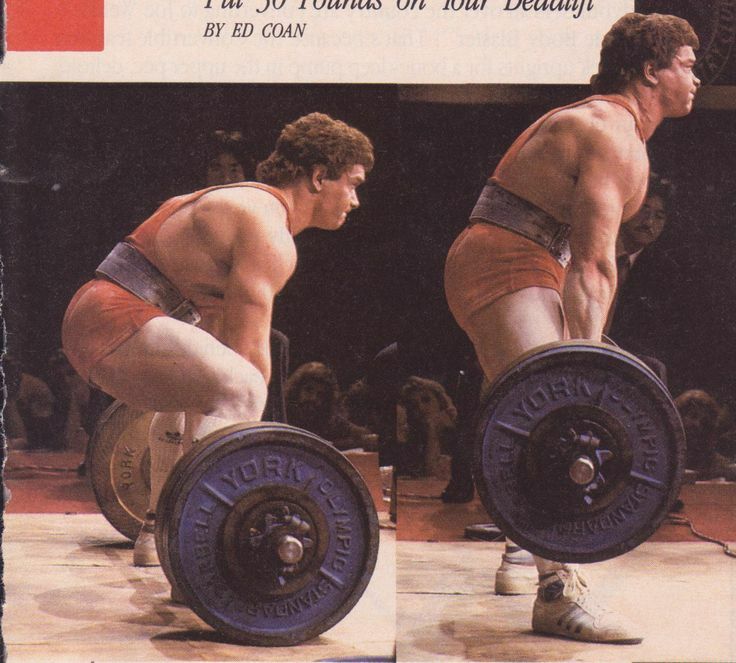 Hypertrophy bridges the gap between weightlifting, powerlifting, and sports performance. However there are a couple of different approaches to the use of hypertrophy, and I believe that all of you can learn from each. Let’s take a look! 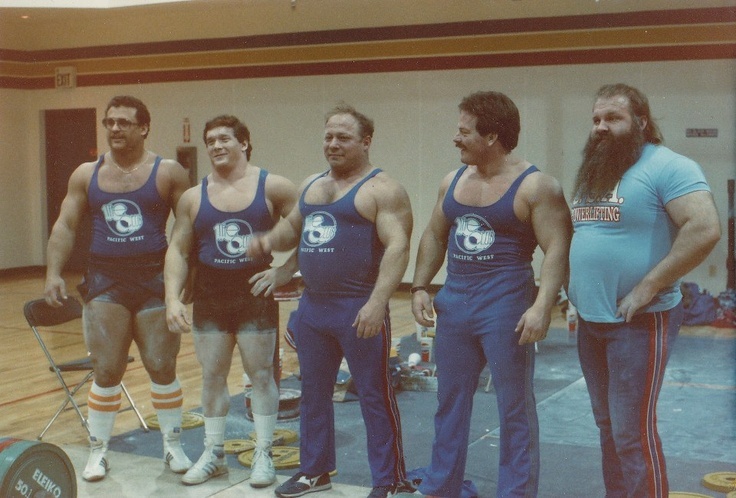 Ed Coan was the first powerlifter that I looked up to. Why did I look up to him? Well it was because he was and still is the greatest of all-time. However there was one more reason. He was jacked! I wanted to be strong and jacked just like Ed. He was crossing the lines into the bodybuilding world. I remember reading a spread that “Flex Magazine” printed comparing Ed Coan and Mr. Olympia Dorian Yates. I am telling you that Ed’s back rivaled Dorian’s. However what does being jacked have to do with being strong. It’s true that you can get strong without adding muscle size up to a certain point. If you are in a weight class sport, you should maximize the muscle mass that you have. If you practice your core lifts with enough frequency and specificity, you will get more efficient at the movements and hence able to heave more poundage. Those are neural gains, but at a certain point those gains will either halt to a snails pace or diminish all together. Ed Coan dominated powerlifting in the 181lb, 198lb, 220lb, and 242lb divisions. Obviously he was adding muscle along the way. If you look at old pictures of him, he is ripped at all of those weights. That’s one important point to make. Hypertrophy training isn’t the same as getting fat. Too many powerlifters mistake the two. Ed was more traditional in his approach to periodization especially for his competition cycles. He would start with a hypertrophy block performing 2-3 sets of 8-10 repetitions, move to a strength block of 3-4 sets of 5 repetitions, and finish with absolute strength around 1-3 repetitions. He kept bodybuilding exercises as major staples of his program like bent over rows, seated military presses, and close grip benches. When Ed Coan was at his prime, he performed two big meets per year: Senior Nationals and World Championships. That’s only two competition phases per year. He was famous for performing off-season work that looked even more like bodybuilding. These are phases of his training that were often overlooked in my opinion. He would high bar squat to crush quads. He’s done dumbbell flies, triceps pushdowns, dumbbell triceps extensions, leg presses, hack squats, and more. Yeah this sounds pretty much like a bodybuilder to me. Those off-seasons and beginning competition blocks were designed to add muscle size. Ed didn’t use a lot of frequency at all. He squatted and crushed legs once per week, benched twice, and deadlifted once. He was specific as he always stuck to the lifts, but at that frequency his main weapon was hypertrophy. A lot of weightlifting coaches are similar in their approach to programming. If you ever look at one of Coach Kyle Pierce’s programs from LSU Shreveport, it will look very similar to one of Ed Coan’s programs except there will be snatches and clean & jerks. Coach Pierce is of course the legendary coach of three-time Olympian Kendrick Farris. His programming has influenced the way that I program immensely. His programming starts with hypertrophy, shifts to strength, and ends with absolute strength just like Ed. Louie Simmons on the other hand programs strength work, absolute strength, and hypertrophy throughout his programs simply waving the intensities and changing out exercises. Louie uses accessory work to produce the majority of his hypertrophy much like the famed Chinese weightlifters. Louie performs this hypertrophic work right up to a competition. The Chinese can often be seen in the training halls performing dips, lateral raises, and rows. This approach is quite opposite from traditional programming like Ed Coan’s or Coach Pierce’s. Their programming will start with higher reps and sets with lots of accessory work, and then it will periodize down to lower reps, higher weight, and more specific to the core lifts without the accessory movements. •	Exercises look more like bodybuilding lunges, flies, extensions, etc. •	Designed to give the joints a break. •	Primary lifts are introduced back into the program. •	Sets, reps, and intensity will vary with at least one day per week performed with the major movements (squats, pulls, and presses) in traditional hypertrophy manner of 3-4 sets of 8-12 reps.
•	Still lots of accessory movements to encourage muscular balance. •	The main strength movements (squat, presses, pull, and rows) are performed on average 3-4 sets of 4-6 reps at an average of 80% intensity. •	Olympic lifts are trained with high volume, forms of complexes, and varied methods (Blocks, hangs, and pauses). •	Absolute strength or maximum effort is still trained just not the main priority yet. •	Hypertrophy is still gained with the mechanical loading and muscle damage of the prescribed main movements. •	Traditional hypertrophy ranges are continued with accessory movements towards the end of the workouts. The movements used are designed to strengthen muscular imbalances, weaknesses, and positions needed for the competition movements. •	This is the phase that leads up to competition. The focus in 2-4 sets of 1-3 reps at a high intensity. It’s time to get the central nervous system ready for heavy weights. •	The competition lifts are the focus, and they are performed in the way that they will be performed in competition. Specificity is the key! •	There are still aspects of strength building going on, but the focus is the one-repetition maximums. •	Hypertrophy is still a focus with accessory movements designed to strengthen weaknesses. As you can see, I have taken the two models and combined. The problem is that there isn’t a lot of research to prove which method is best. Of course our athletes are improving at a high rate, so that is the only study that I have to go off of. The research that I have read from Brad Schoenfeld and others seems to support my programming model. Here’s the thing. If you want to get strong, specificity and neural adaptations are important. They should be used to maximize the muscle size gained from hypertrophy work. They both have their place. When programmed together in a way that both are emphasized, gains can me maximized in a way that plateaus should be rendered abnormal. If you are at a place where training has slowed down, maybe it’s time to get jacked. It worked for Ed Coan and continues to work for the amazing Chinese Weightlifters. It will work for you as well.